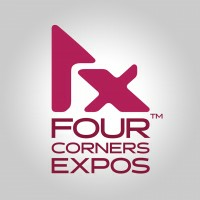 Four Corners Expos produces events in the Four Corners area, and has been for more than a decade. We pride ourselves on our ability to connect businesses in the Southwest with consumers to showcase products and services relevant to the people in the Four Corners area. Four Corners Expos is a division of Ballantine Communications, Inc., based in beautiful Durango, Colorado. With the resources of Ballantine, Four Corners Expos is positioned to promote its events throughout the area. Our largest and longest-running expo is the Durango Home & Ranch Show, which we acquired in 2004. The event has been part of the community for more than 20 years. Four Corners Expos continues to grow with our area, providing traditional and new events of all kinds for our businesses and residents.